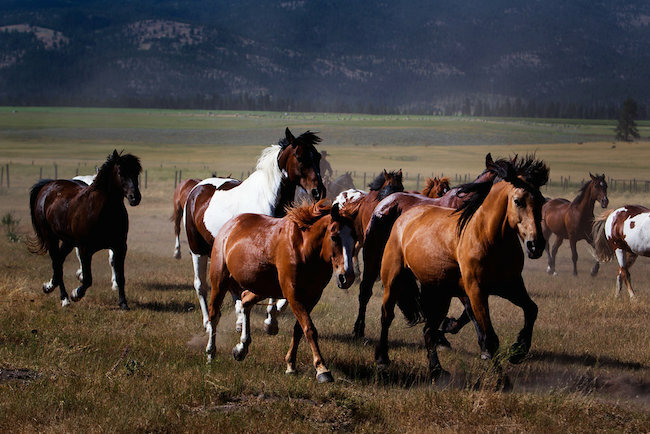 Throughout the history of what’s known today as Paws Up Ranch, horses have played as big of a role as humans. Captain Meriwether Lewis, of the Lewis & Clark expedition, arrived via horseback in July 1806. Countless miners and loggers and everyone from Paul Greenough to the Lindberghs (yes, those Lindberghs) relied on horses for transportation and all manner of ranch chores in Montana. It’s been no different with the Lipsons. 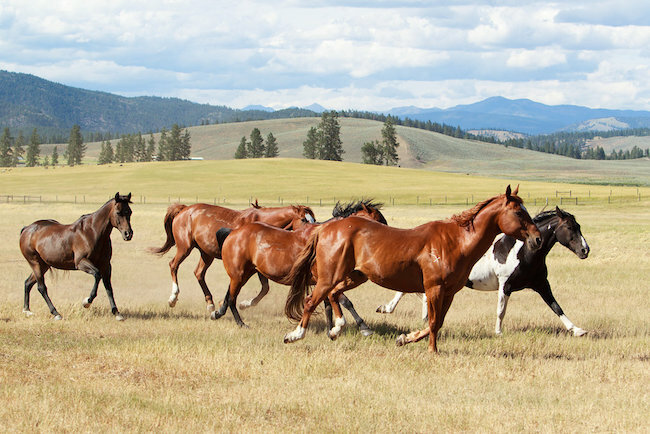 Since opening The Resort at Paws Up, they’ve redefined the experience of horseback riding with one-of-a-kind equestrian adventures. Whether you’re an expert rider or you’ve never been in the saddle before, The Resort’s wrangler will pair you up with a Paws Up four- legged friend that will be your perfect match for exploring more than 100 miles of wilderness trails. 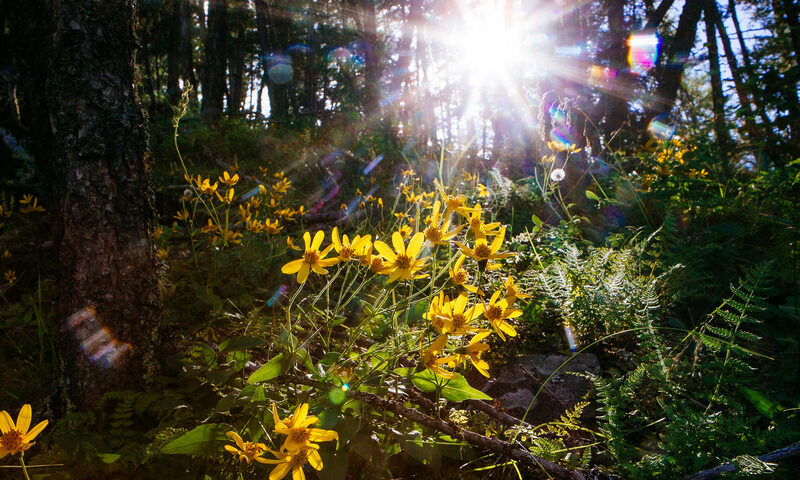 You’ll pass towering ponderosa pines, whose size and beauty are surpassed only by the views of the distant mountain ranges of the Bob Marshall Wilderness. You’ll ride over, through and around the remains of a famous Montana mining community. You’ll also enjoy the history, the views and the conversations that are provoked by these inspiring Rocky Mountain trail rides. And this year, there are several additions to our equestrian program. A new evening ride will take you past our quaint line shack (where you’ll enjoy a glass of wine or a cold beer) to the top of Scout’s Point to take in a signature Montana sunset. Or if you prefer, you can enjoy a lunch ride to a gorgeous spot in the shade where you’ll indulge in a Paws Up style picnic. Kids can participate in lessons at the Saddle Club arena, complete with games, obstacle courses and more, and adult beginners can join instructional group trail rides. For advanced riders, the all-new, three-hour trail ride allows equine enthusiasts to cover terrain that no Paws Up guests have ever traversed. Explore the Lubrecht Experimental Forest, or travel back in time as you ride along a spur line of the old mining railways. 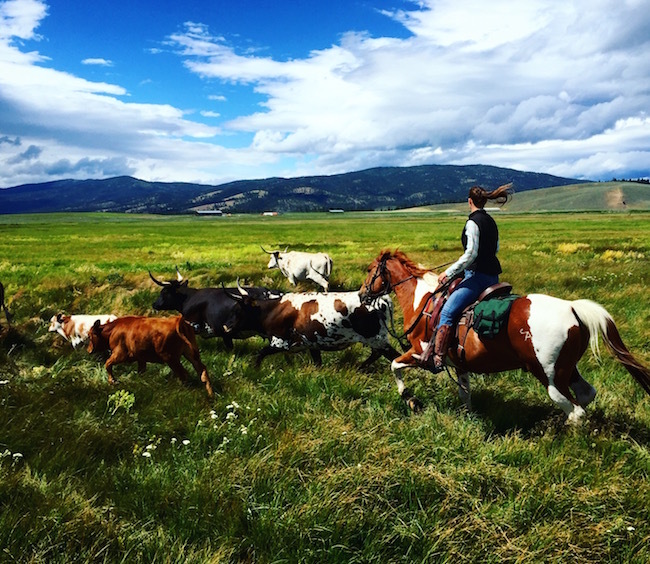 For an authentic taste of Western ranch life, participate in a cattle drive where novice and advanced riders alike will saddle up with seasoned ranch hands and drive a herd of cattle across the majestic rolling pastures of Paws Up. 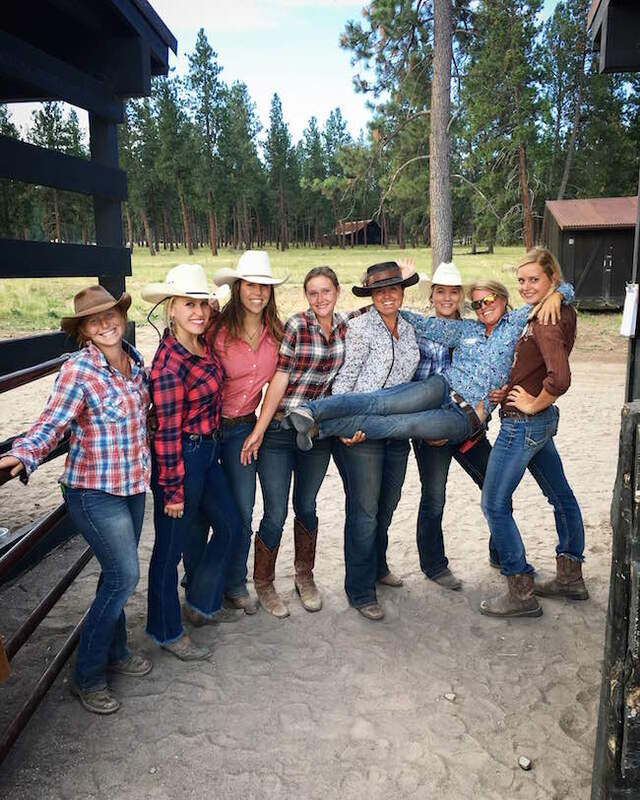 Here’s a look at some of our awesome Paws Up Wranglers. Come visit us soon! This sounds so fun. Love your company blog!